Meson Panza Verde was established in 1986 as the first Luxury Boutique Hotel and Restaurant (European style) in Antigua. Ideally located at the quiet end of famous Fifth Avenue. It is a pleasant five minute walk from Antigua's main Plaza and Cathedral down cobble stone streets past wonderful ruins and delightful shops. People often ask about our name. Panza Verde (green belly) is what generations of Antigüeños have called themselves. No one is quite certain of the true story, but it is said the people who remained here after the Capital was moved to Guatemala City were so poor they had to subsist on avocados. Being a Panza Verde is mentioned with great pride. 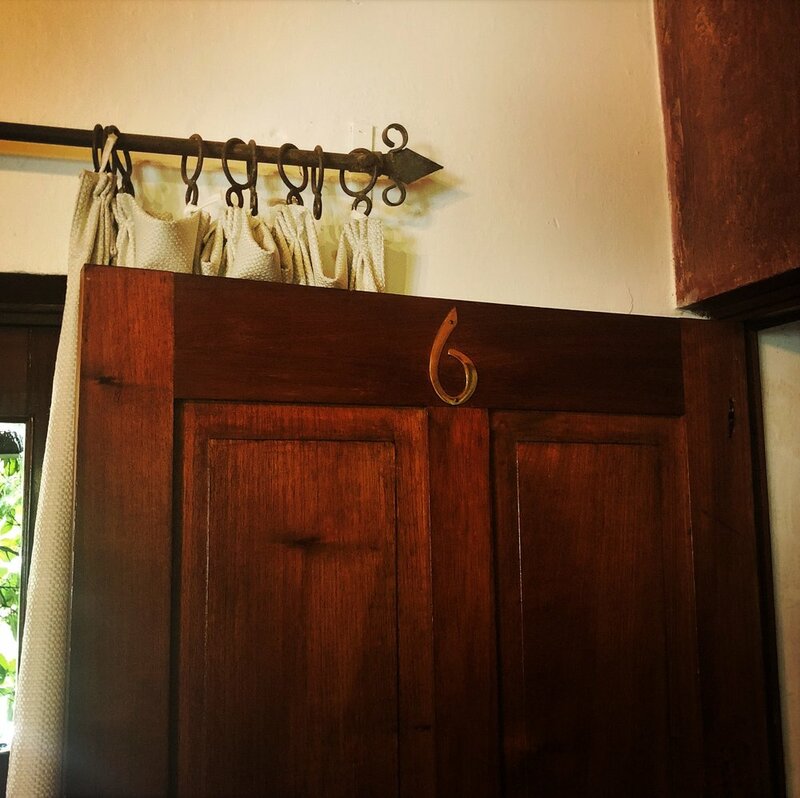 Panza Verde has a total of twelve rooms. Nine uniquely decorated suites and three double rooms. Just beyond the entrance, there is an inviting central garden and fountain surrounded by a veranda that is quintessential Antigua. Meson Panza Verde has been selected as a Fodor´s Choice Establishment. Our restaurant has received the coveted Medal de Oro (of Gold) award, which is the best in the country. Originally designed as the owner´s apartment, it is the largest of all the suites at the hotel. 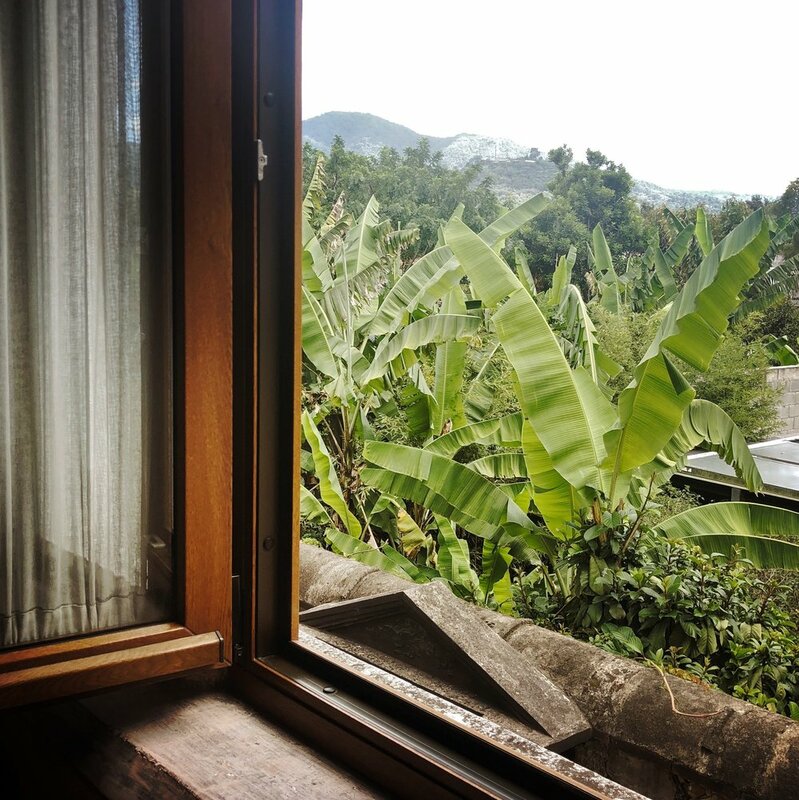 With unusual floor to ceiling glass and wrought iron windows, this suite has excellent views of Volcan Agua, which on most days changes color from dark green in the morning to nearly purple at dusk. In the living room there is a large corner fireplace flanked by two settees. 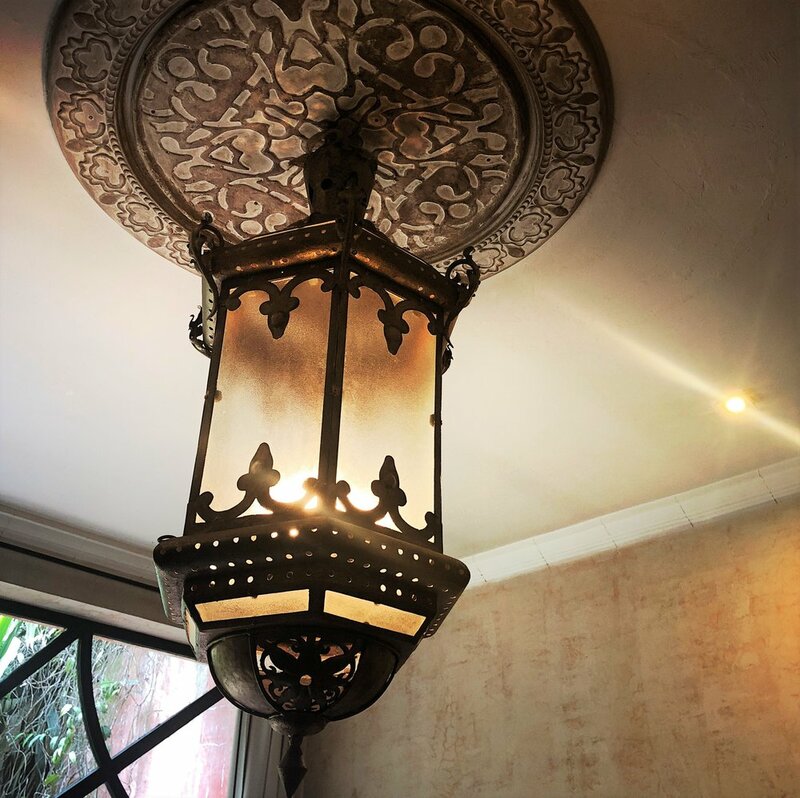 Beautiful antique chandeliers brought from Cuba light both the main sala and the adjacent bedroom which has a king size bed placed under a cupola with views of both Volcan Agua and the hotel´s north garden. 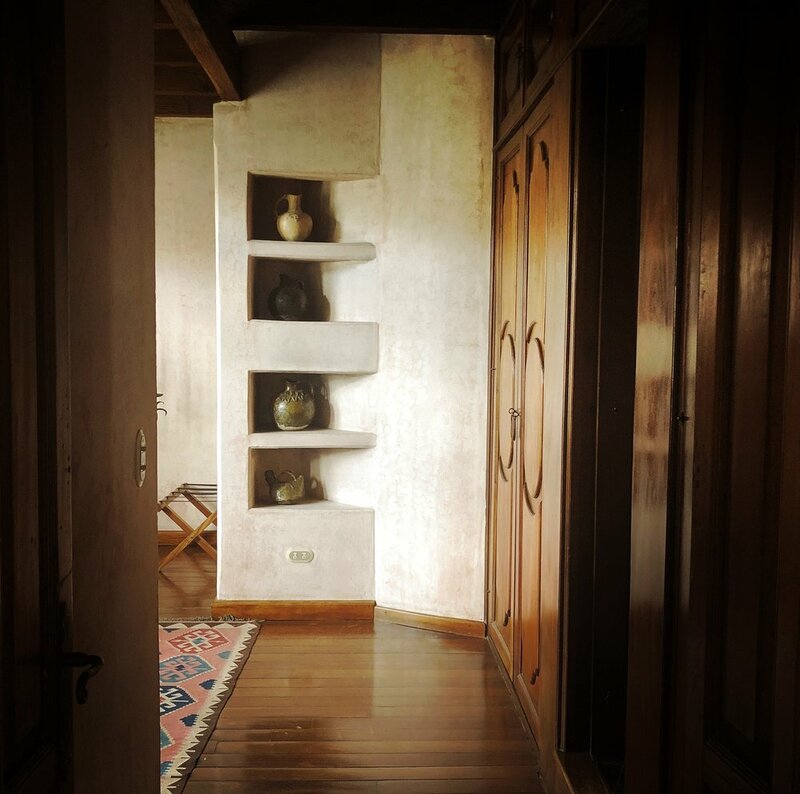 Through mahogany doors is an elegant dressing room containing a jacuzzi where you can also enjoy volcano views. The master bath is set in a cupola next to the dressing room. 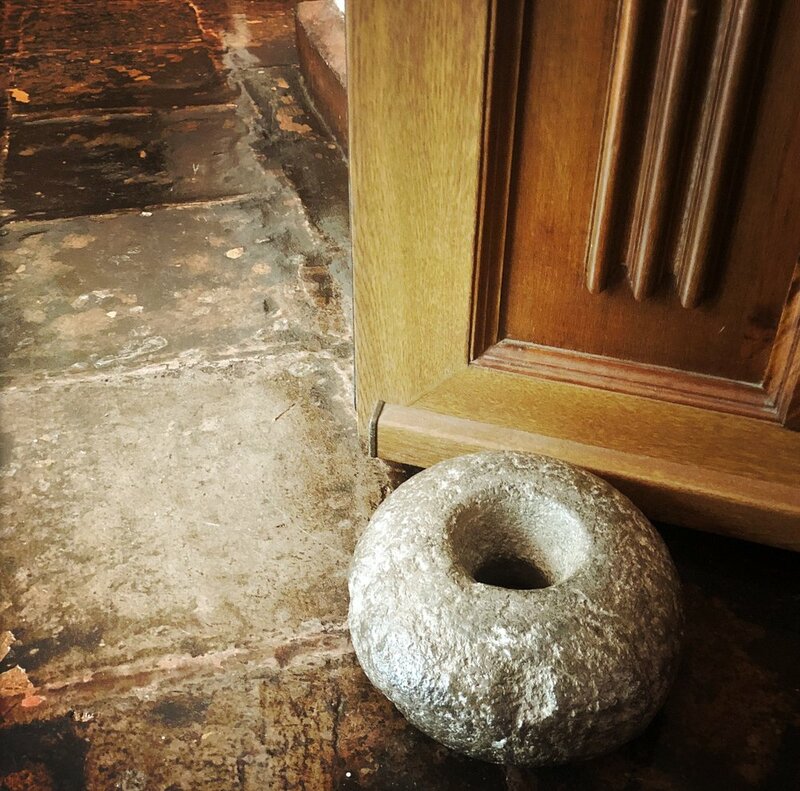 Just outside of the entrance doors there is a small winding staircase to the third floor terrace. 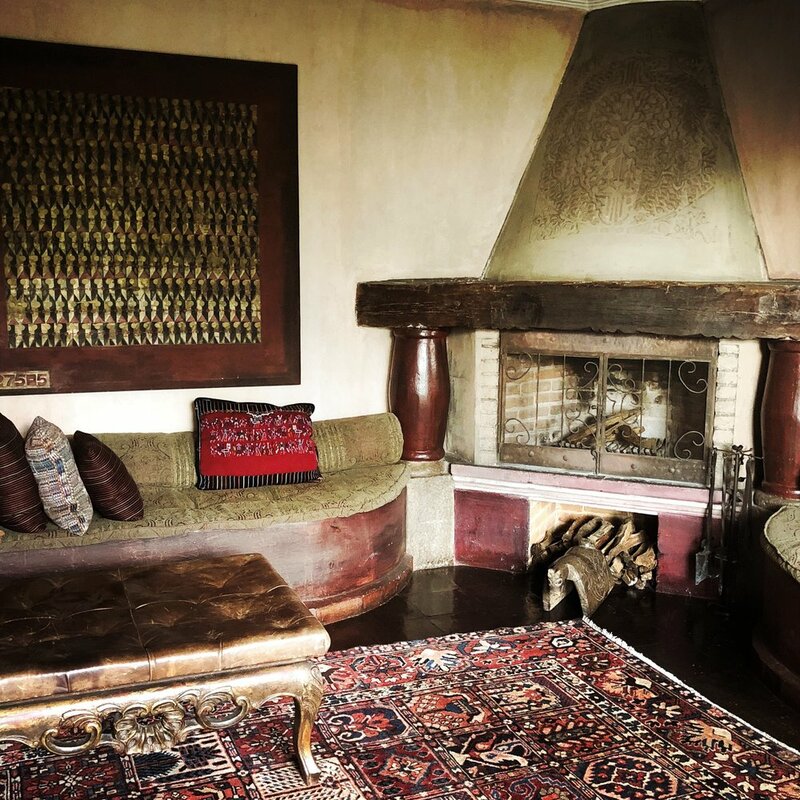 This suite has a choice of a king or twin beds, an antique writing table/dresser and a beautiful Moroccan style fireplace. The large bathroom is located in one of the two towers, looking over the lap pool onto the distant volcanoes. Outside is a Spanish balcony facing a wall of climbing vines and bougainvillea and overlooking the garden below. This suite has a choice of a king or twin beds. 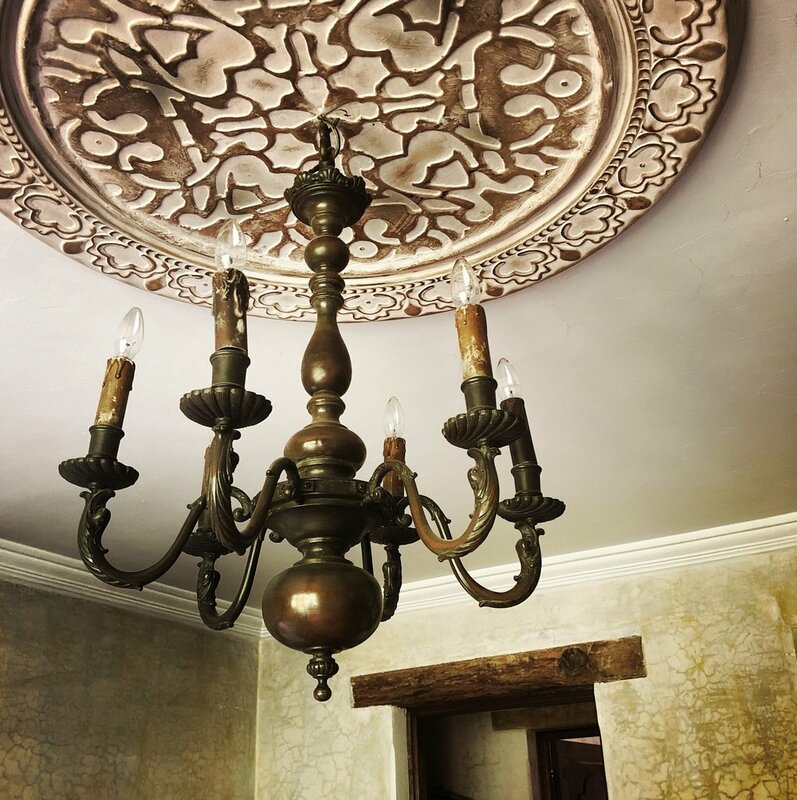 It is decorated with chandelier, antiques, art and has a beautiful Moroccan style fireplace. The large bathroom has a painted domed ceiling and a large corner tub for two. Outside is a Spanish balcony overlooking the garden below and facing a wall of climbing vines and bougainvillea. 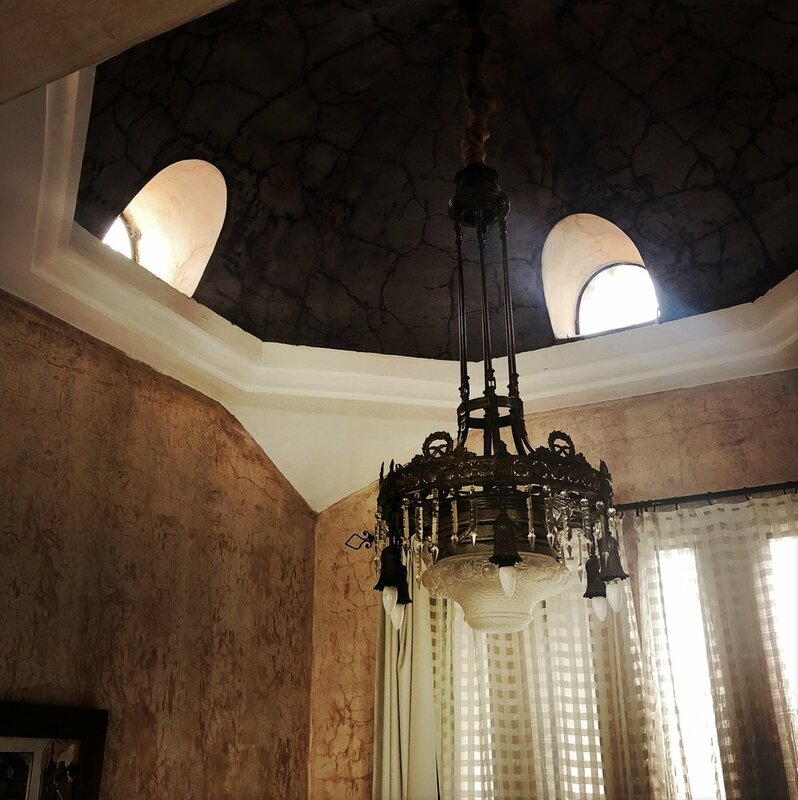 An amazing chandelier from Cuba and a Moroccan style fireplace. 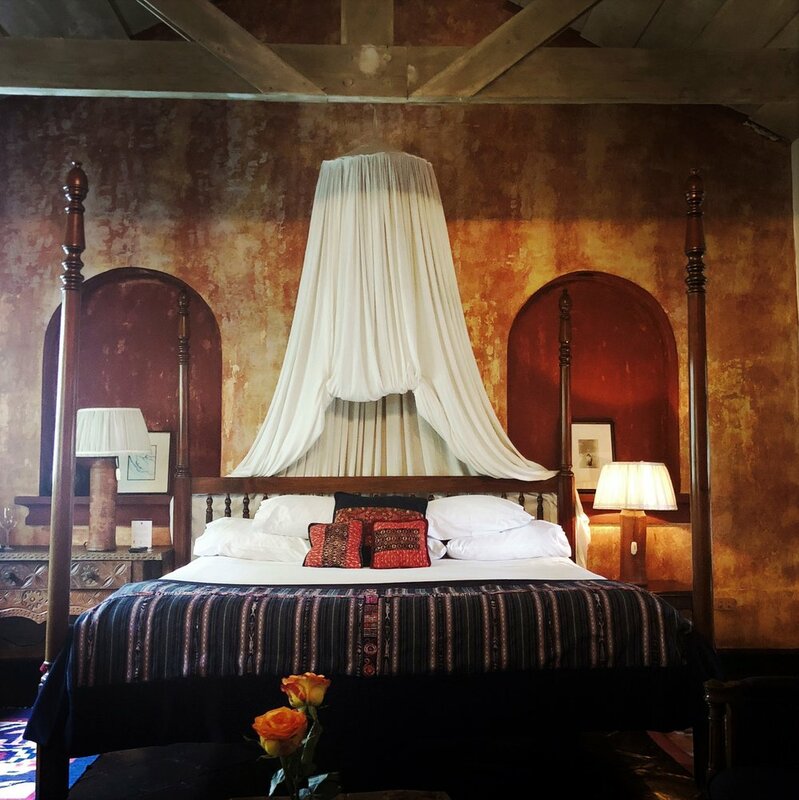 There is a king size bed, two antique cane chairs, an antique writing table/dresser from Europe and a Guatemalan country table used for in room dining. The room also has an end wall of wrought iron and glass French doors leading to a private garden. The lush garden contains a lion head stone fountain and stone bench for outdoor lounging and reading. 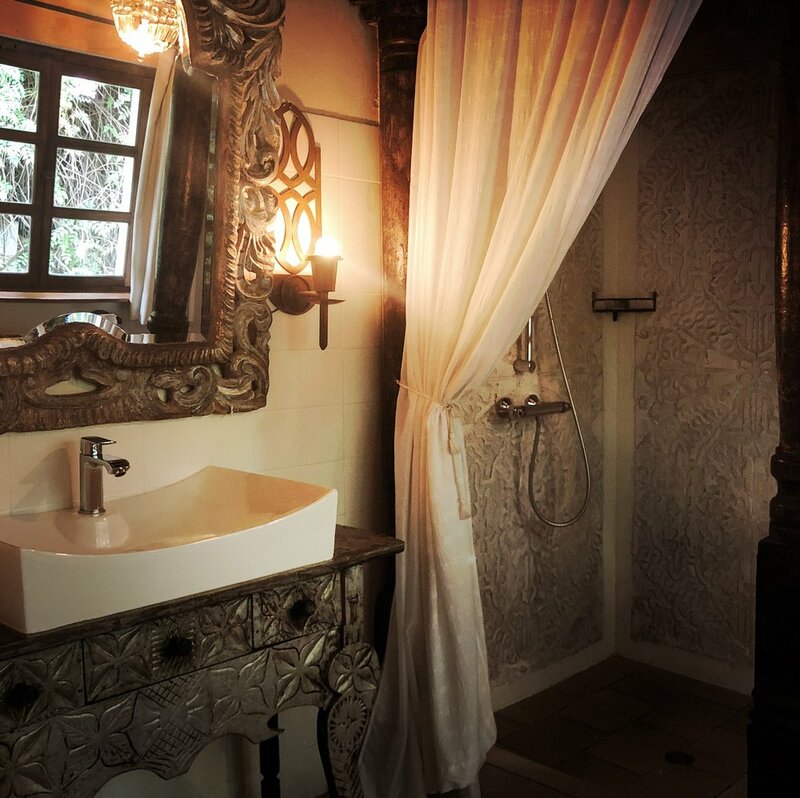 Suite 9 has a large beautifully appointed bathroom with a jacuzzi for two, set in a stone foundation, romantically placed beneath an amber colored window which captures the late afternoon sun. Master Suite 8 also has a king sized bed under it's 12 foot high ceiling, a large Moroccan style fireplace, a pair of woven cane chairs and an unusual antique chandelier and writing desk from Cuba. The end wall is wrought iron and glass with French doors leading to a private garden containing a stone fountain and outdoor settee for lounging and reading. The bathroom has a built in bathtub and shower on a platform sitting between two painted antique wood columns. The shower wall boasts a carved rainforest mural. To the left of the main entrance to "La Cueva", up a flight of stone stairs, sits comfortably high Master Suite # 7. 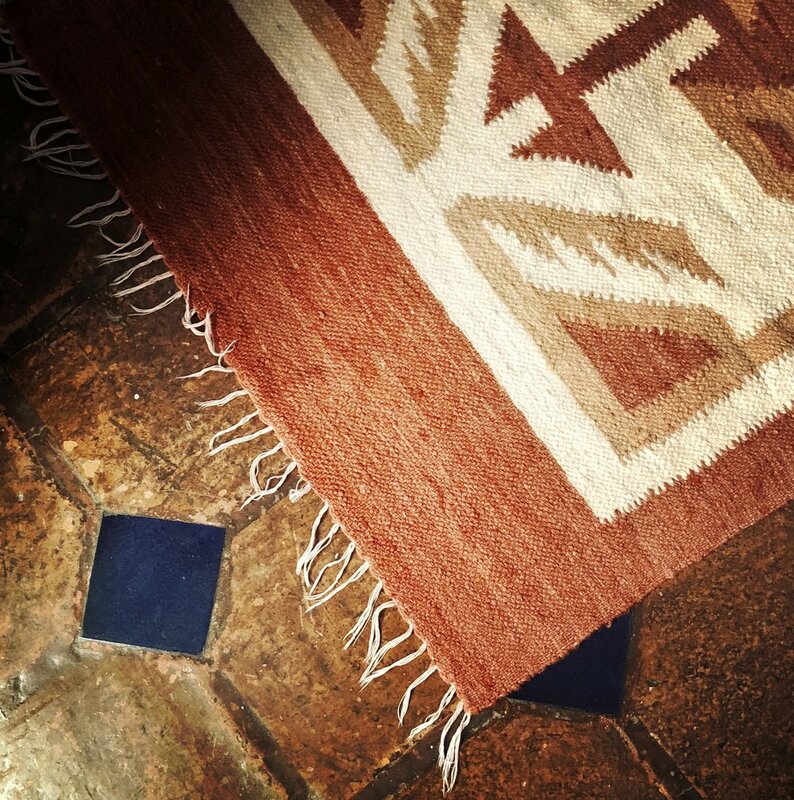 French doors open onto a private patio overlooking a Zen Courtyard, with views of Volcan Agua. 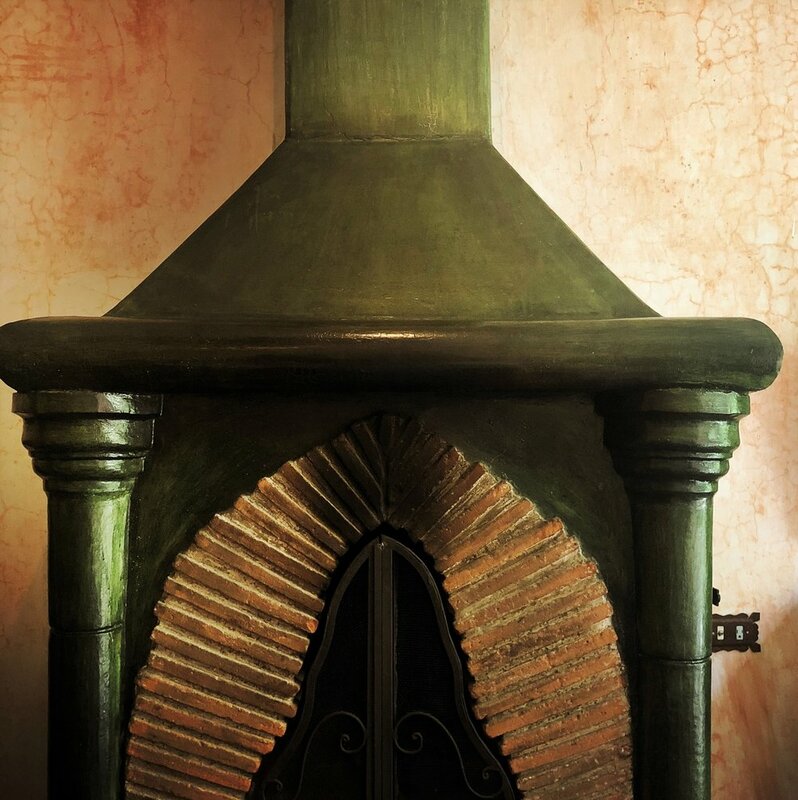 Separate from the main hotel, Suite 7 boasts a king size bed, antique corner writing table and unique fireplace. The ample bathroom with a Jacuzzi for two looks back over the lap pool and is filled with afternoon light. 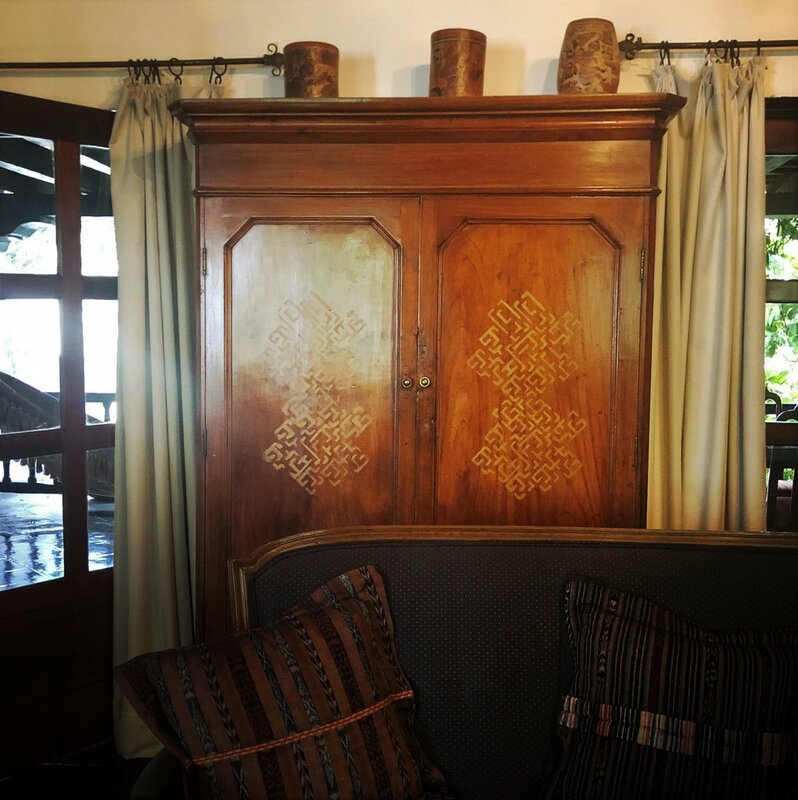 One of our original suites, it is a large space with windows facing the morning sun. It has a king size, four posted bed, a writing table and an antique sofa set in front of a large fireplace, perfect for afternoon and evening reading. The bathroom is light filled and contains a large European style shower. Two sets of French doors open onto a private terrace overlooking the central garden. The terrace has a hand woven hammock, table and chairs. This suite enjoys a separate sitting room, with French doors leading to a private terrace containing a hand woven hammock, table and chairs. 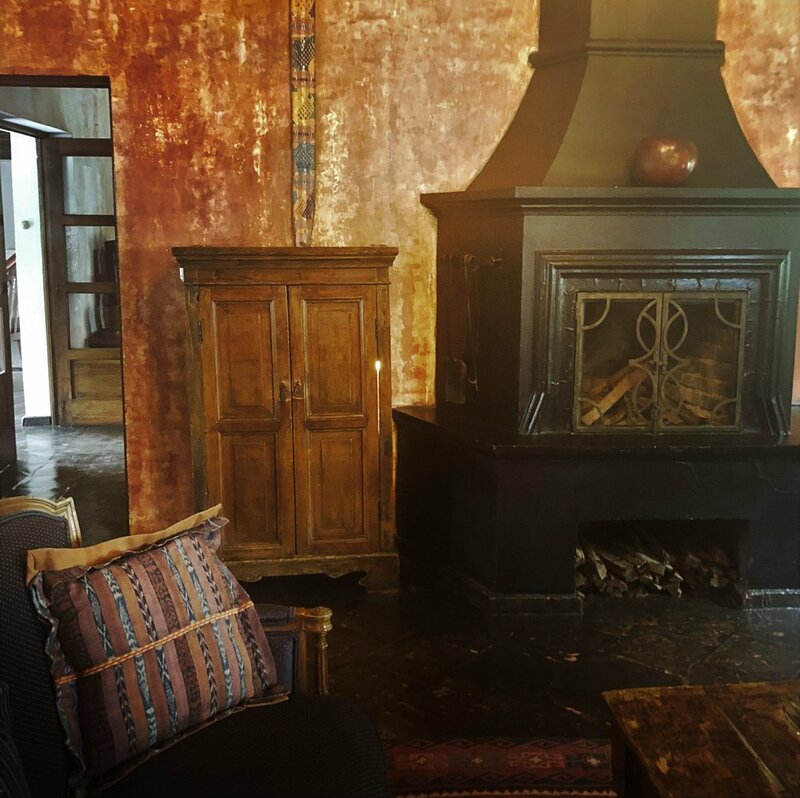 The room has a large fireplace and an antique corner writing desk with the views to the eastern mountains. The adjacent bedroom has a queen size bed. The cupola bathroom contains a beautiful pedestal sink and has a tiled bath large enough for two. Is on the ground level. This room has a living room with a Colonial style desk, armoire and comfortable sofa in front of a large fireplace. French doors open to a large private patio with a fountain surrounded by a variety of orchids, ferns and bamboo, amidst climbing bougainvillea. 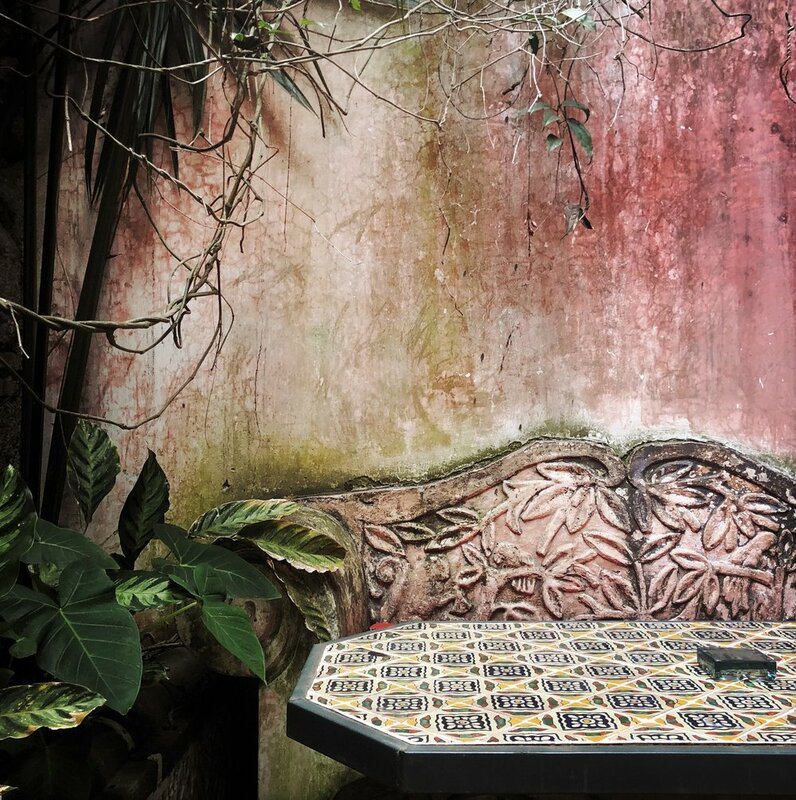 The outdoor furniture with an iron/hand painted tile table, invites you to read or relax outdoors. The separate bedroom has two queen size beds set beneath candle filled niches. There is an adjacent spacious bathroom/dressing room with large mirror and shower. 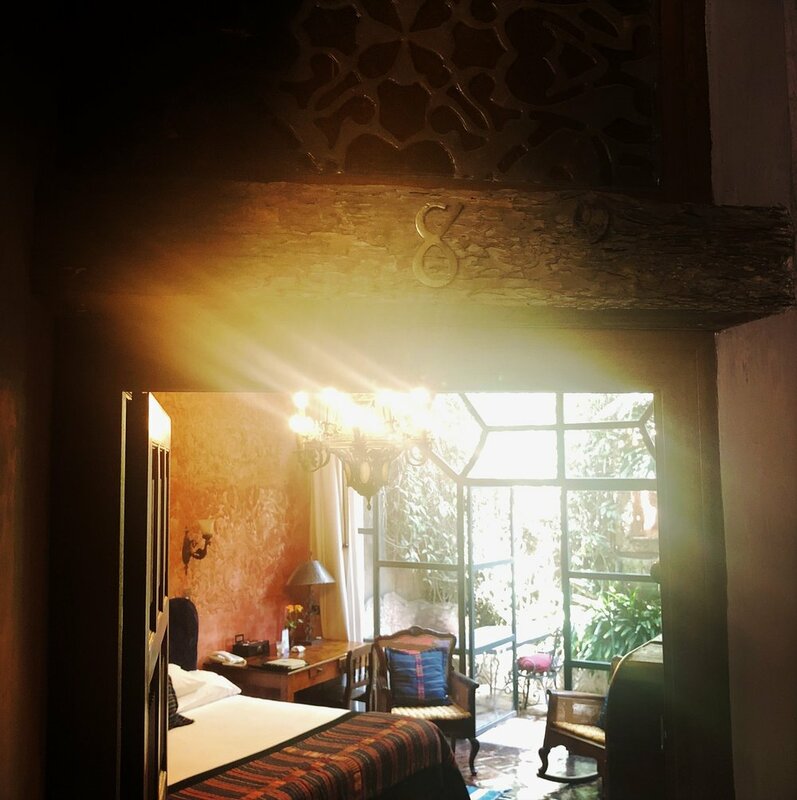 Located off the corridor of our restaurant, this room is one of the three double rooms we have at Panza Verde, each with a private patio. This room enjoys a queen size bed with wrought iron headboard, chandelier, writing desk, small gas fireplace and European style bath. The patio doors open onto a flagstone patio amidst climbing porcelana, passionflowers and bougainvillea. Outdoor furniture includes a hand painted wrought iron and tile table inviting you to read, enjoy a private coffee or drink and relax outdoors. s also located off the corridor of our restaurant. It has two twin size beds, wrought iron headboards, a chandelier, writing desk, corner gas fireplace and European style bath. The large patio doors open onto a flagstone patio amidst climbing porcelana, passionflowers and bougainvillea. Comfortable outdoor furniture, including a hand painted wrought iron and tile table, invites you to read, enjoy a private coffee or drink outdoors or just relax. 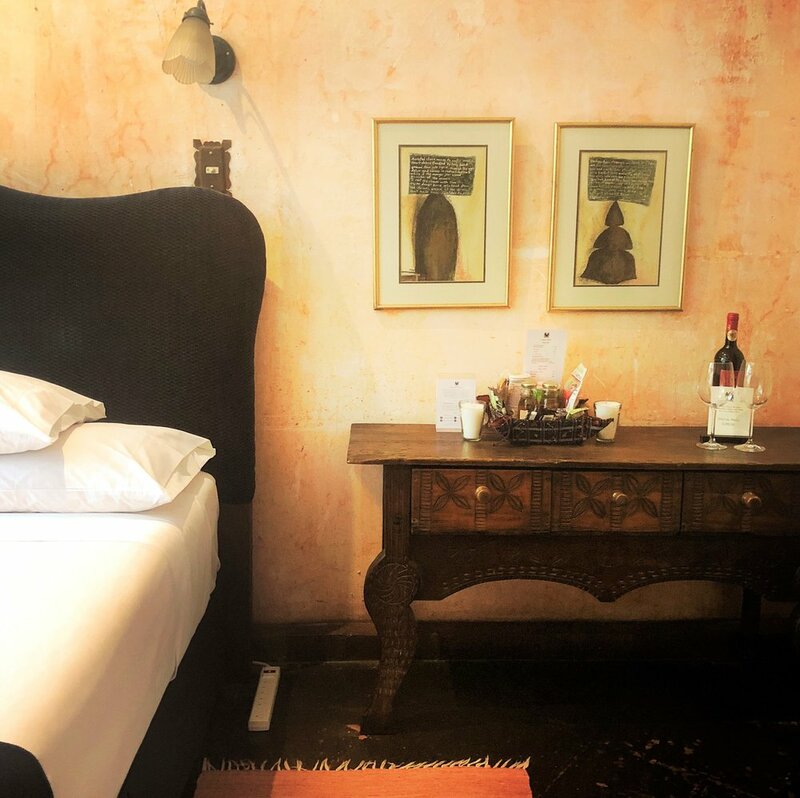 This room is small and cozy enjoying a queen size bed, wrought iron headboard, chandelier, writing desk, corner gas fireplace and a private European style bath. Through French doors leading off the library/piano bar of La Cueva, you step onto a flagstone patio with a fountain containing climbing porcelana, bougainvillea and outdoor furniture with a hand painted wrought iron and tile table, inviting you to read, enjoy a coffee or drink outdoors or just relax. The vibe of live music in La Cueva, playing several nights a week (7-10PM), may not suit everyone. This room may be a little noisy on these evenings. Please check with us before booking this room. Thank you! 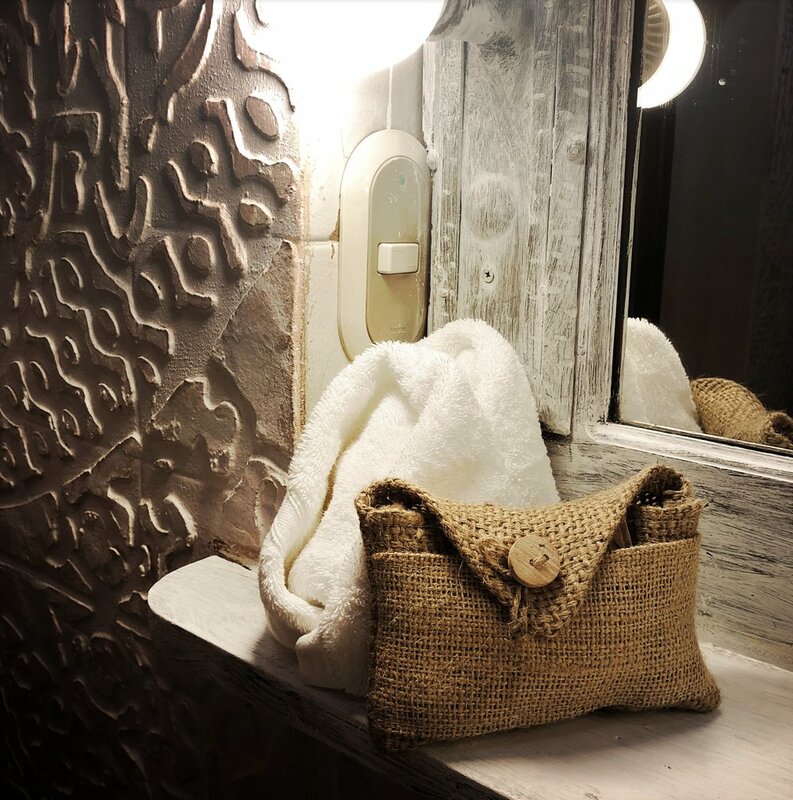 We hope you enjoyed your stay at MESON PANZA VERDE HOTEL!